Before the camera, on-site drawings or white paper cast molds were the best techniques available. Drawings depended on the skill and perseverance of the artist, and molds were subject to melting in the extremely wet and humid tropical climate. In 1839 Daguerre invented the first camera using a complicated “wet” chemical process. The enterprising French explorer Desiré de Charnay used this camera on his expedition to Palenque in 1860. He spent nine days there, using the cumbersome process to take the first photos of the ruins. One important image shows the central tablet from the Temple of the Cross. 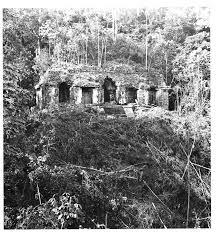 Charnay found it where John L. Stephens and Frederick Catherwood saw it earlier, described in their popular book Incidents of Travel in Central America, Chiapas and Yucatan (1841). It was abjectly lying by a stream and covered with muddy debris. Charnay cleaned it and lifted it sideways for better light, taking the first photo of this famous piece. The missing right tablet had found its way to the Smithsonian Institution in Washington, D.C. Partly due to Charnay’s work, all three tablets have now been united in Mexico’s Museo Nacional de Antropología. 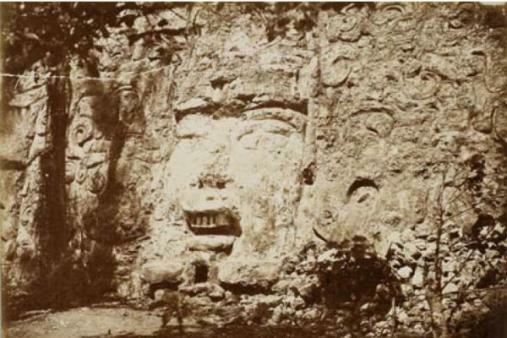 A folio of Charnay’s photographs of Palenque and other Maya sites was issued in 1863. 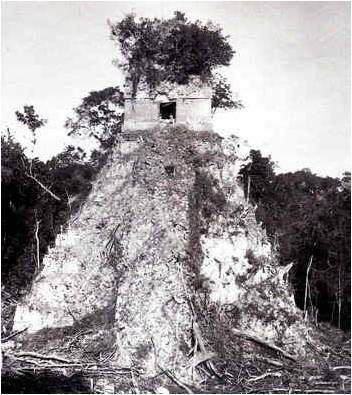 This prompted Australian Teobert Maler to launch his field career in photographic documentation of Maya sites. 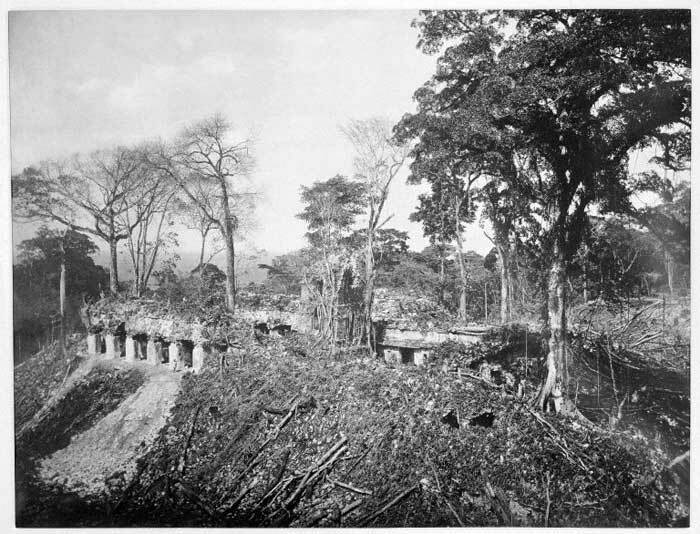 In the summer of 1877, he went to Palenque and took a series of excellent photos of the Palace and Cross Group, using the cumbersome wet process with a large format camera. His photos are the clearest early images of tablets, stelae, and lintels from Palenque and a wide range of undiscovered sites. What lay behind these discoveries was chicle, the basic ingredient of chewing gum, increasingly popular with North Americans. Chicle trees grew abundantly in Central American tropical forests, and opportunistic chicleros cut hundreds of trails through the Peten that uncovered dozens of unknown Maya cities. 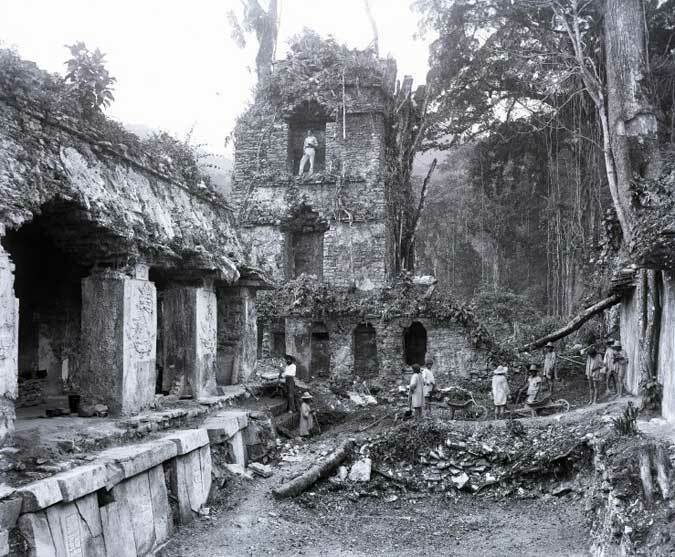 Maler received funding from Harvard’s Peabody Museum to explore and survey these newly found sites, and from 1901 to 1911 he took numerous excellent photographic plates of sites now called Yaxchilan, Piedras Negras, Seibal, and Tikal. The accuracy of his work provided a foundation for later decipherment of Maya glyphs. 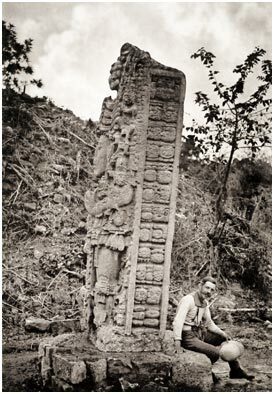 English explorer Alfred P. Maudslay took invaluable photos at Palenque in 1891, producing exceptionally clear images of sculptures and glyphs. Technical progress in cameras made his work possible. Factory-made, ready-to-use photographic dry plates became available three years before his expedition. Images taken by new cameras on dry plates were far superior to the old wet plate process. Maudslay also made paper molds of stone and stucco reliefs, facing the same issues as Charnay. In one disastrous rainstorm, three weeks of molds were transformed into a sodden blob, so the tedious procedure had to be done over. 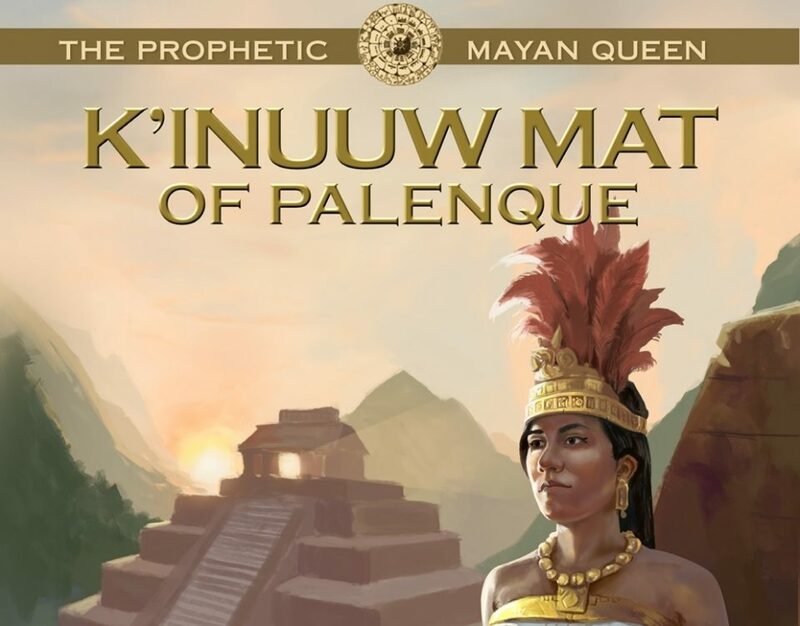 The trip that Maudslay made to Palenque interests me since it reveals much about the region and its people, my people. From Progreso at the northern tip of the Yucatan Peninsula, he took a boat bound for Frontera at the mouth of the Grijalva River. A bad storm forced them into port at Laguna de Terminos (now Ciudad del Carmen), the lagoon outlet of the other navigable river leading to the Usumacinta, the major artery of river travel. After two weeks clearing customs despite ample official permissions from the Mexican government, he secured a small steamer to take his equipment up-river to the village of Montecristo (now Emiliano Zapata). 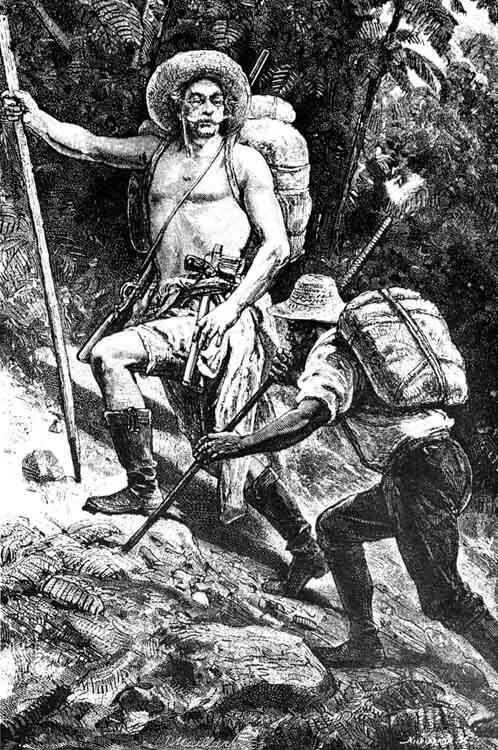 Finding pack-mules and carriers was difficult and he faced the same problems that plagued most expeditions of his time. leading to a thatched church. A few white stucco houses lined the grassy square, with Indian huts (palapas) scattered around. When Chiapas was part of Guatemala, the town was on the main trade route but this commerce had been diverted. The village was struck by cholera that wiped out half the population. Many of the homes were abandoned and falling into ruin. 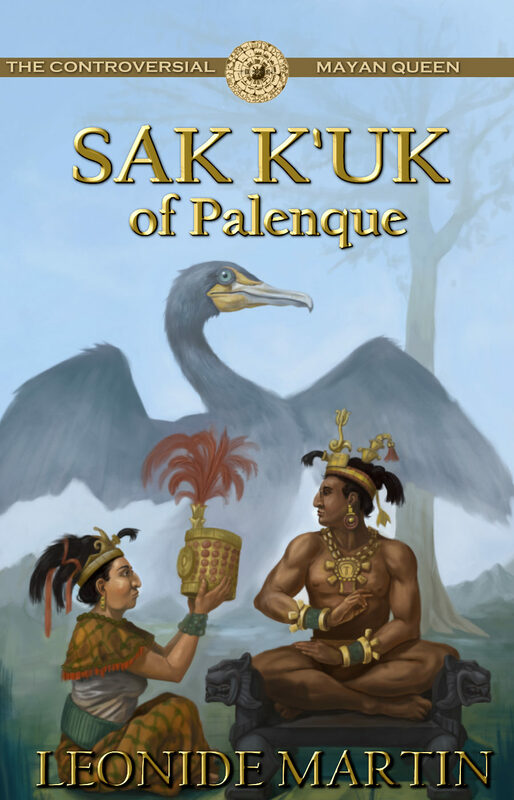 Palenque village was “so far out of the world” that he was surprised to find the two most important inhabitants were sons of a Frenchman and a Swiss doctor. Trouble with workers seemed endemic. Maudslay asked for 30 laborers, and the jefe políticos (leaders) of local towns promised them, but only 15 showed up and that quickly dwindled to three. Finally, he got 20 men from the nearby Chol Maya village of Tumbala (my grandmother’s family is from there). His team included an engineer, a young Frenchman planning to write books about his travels, and some cooks. At the Palenque ruins, they set up beds and camp furniture in the Palace corridor by the eastern court, supposedly the driest area. “Driest” was a relative term, however. Despite unpredictable laborers, Maudslay’s team managed to cut down many trees around the structures, clear out the Palace eastern court, and remove all but one of the trees growing from the Palace Tower. The top story of the Tower was half destroyed and the whole in danger of falling over in heavy winds. To prepare Palace piers for photography, they had to remove limestone incrustations that formed small stalactites on the pier faces. The limestone coating varied from a thin film to 5 or 6 inches thick, and it took six weeks to remove it carefully with hammer taps and scraping. Underneath they found colors of the stucco paintings still fresh and bright in some places. Next was photography, requiring platforms supported by scaffolding. The piers sat on narrow terracesabove stairways, and Maudslay needed to get enough distance to frame good pictures. 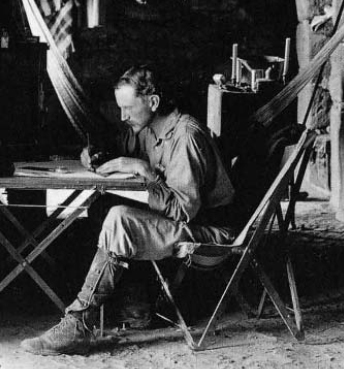 His engineer made plane-table surveys of the site center, producing detailed floor plans of the Palace and other structures that are still among the most accurate ever done. IF YOU ENJOYED THIS POST, WHY NOT JOIN MY BLOG NEWSLETTER! 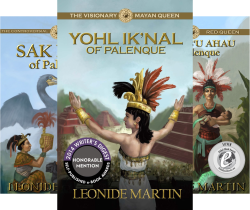 By Leonide Martin in Alfred P. Maudslay, Ancient Mayans, Archeological Sites, Archeology, Desire De Charnay, Maya Culture/Civilization, Mayan pyramids, Mayan ruins, Palenque, Teobert Maler on August 7, 2016 .